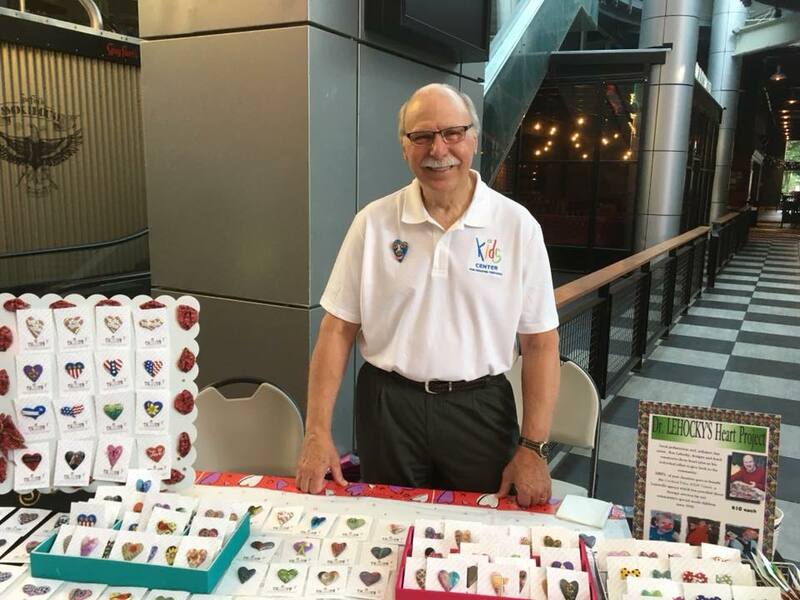 What started out as a small, one-time project to help supplement the fundraising efforts of the annual Kids Center Fashion Show in 2005, Dr. Ron Lehocky’s Heart Pin Project has grown dramatically over the ensuing years to generate hundreds of thousands of dollars for Kids Center. Dr. Lehocky, a community pediatrician since 1974 and a member of Kids Center’s Board of Directors, designs and constructs each heart pin from polymer clay, which can be blended and tinted then manipulated into a myriad of designs which are then used to decorate the surface of the hearts. After curing the clay in an oven, most of the pins are sanded and buffed by hand to give them a subtle gloss. Each pin is unique like every client served at Kids Center. 100% of the money generated from the sale of each pin goes into a designated fund to provide continuing education for our wonderful and dedicated team of therapists (the Heart of the center). This fund ensures that Kids Center can continue to provide the most up to date therapies for our patients. Two Chicks and Company, 12121 Shelbyville Rd. Thanks to all these retailers who have so generously embraced the Heart Pin Project and who take no profit for their efforts.